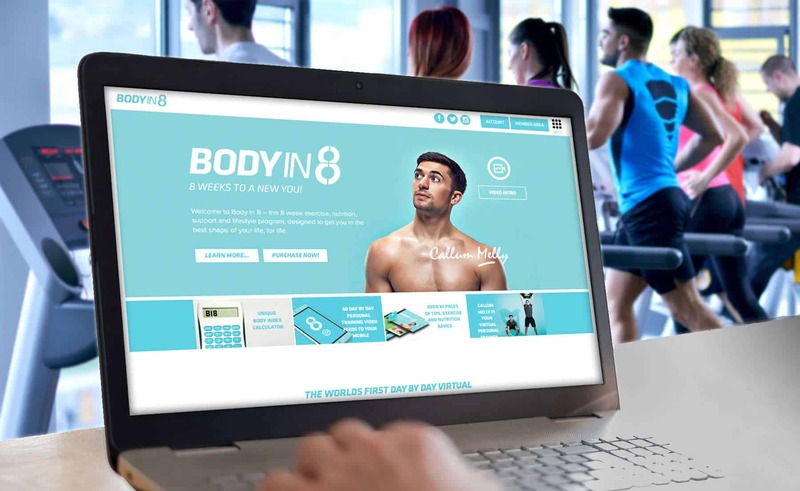 BODY IN 8 is the UK’s leading in gym virtual personal training programme, designed and developed by Mens Fitness magazine cover model, published health and fitness writer and body transformation expert Callum Melly. No matter your gender, age or fitness ability, this tailored programme will teach you how to maximise fat loss, promote lean muscle growth and achieve a shaped, toned and lean body in just 8 weeks. BodyIn8 were a London based start-up who needed to build their digital presence. We came in at the very beginning of their online journey. They needed a site which was easy to use, had a members area, and could accept payments. BodyIn8 created the branding and design for their website, and we brought this to life in WordPress. We added in a and was given Ecommerce platform and membership area for their subscription services.